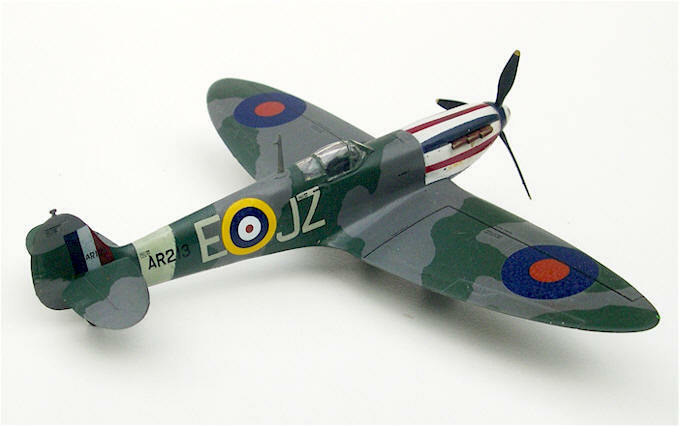 Here is the newest of the many 1/72 Spitfire models (over 100) which I have completed over the years, trying to cover all marks and all significant camouflage schemes of this famous aircraft. This Mk. I, AR213 painted with bright stripes along the nose while in second-line service with 57 OTU.